is located outside of Huntsville, Texas. 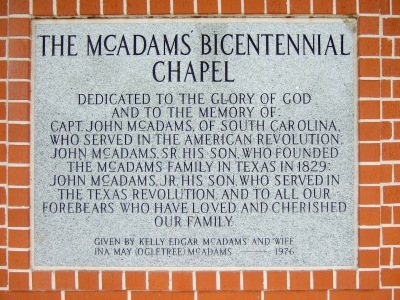 January 1849 when John McAdams, Jr.
after a fire destroyed the original building. 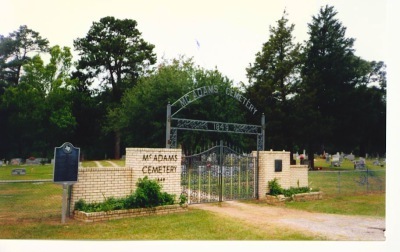 located across the highway from the Chapel and Cemetery. 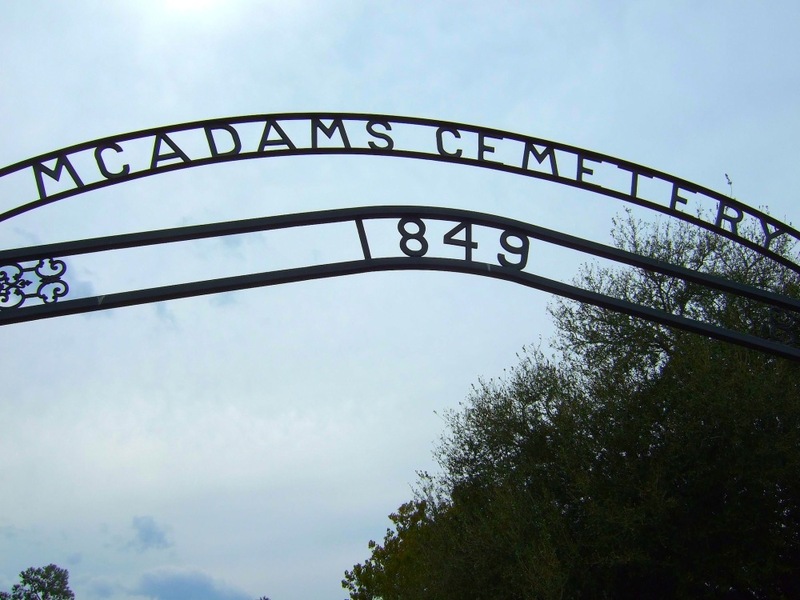 The McAdams Cemetery Association annual Business Meeting occurs on the second Saturday in October each year. 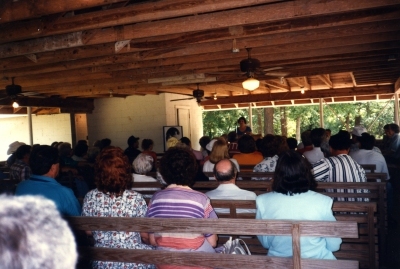 The annual Business Meeting begins at 9:00 am and the Memorial Reunion begins at 11:00 am. family room located in the rear of the chapel. We hope to see you there! First Families of Texas, and First Families of Walker County?